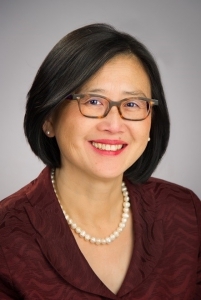 Nemours Children’s Health System announced today the appointment of Mary M. Lee, MD, as Enterprise Chief Scientific Officer for the multi-state pediatric health system. Dr. Lee, who has served Nemours as an Enterprise Vice President and Physician-in-Chief of Delaware Valley Operations since April, is being tapped in this new role to oversee and lead the organization’s efforts in developing better treatments and new cures to help tomorrow’s children. Drs. Michael Artman, President, AMSPDC and Joseph St. Geme, Chair, Selection Committee have announced Sallie Permar, MD, PhD will succeed Dr. Peggy Hostetter as Program Director of the PSDP, a program funded in part by the APS. Dr. Permar is currently a Professor of Pediatrics, Immunology, and Molecular Genetics & Microbiology and a member of the Human Vaccine Institute and the Center for Virology at Duke University Medical Center. 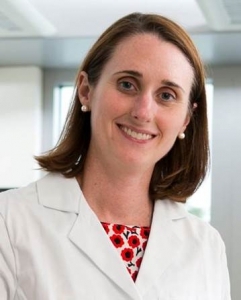 She also serves as Director of the Children’s Discovery Unit and the Pediatric Research Scholars Physician-Scientist Training Program in the Department of Pediatrics at Duke and as Co-Director of the Duke Center for AIDS Research Developmental Core. A highly accomplished basic, translational, and clinical investigator in congenital and neonatal viral infections, with a focus on HIV, cytomegalovirus, and Zika virus, Dr. Permar has been well funded by the NIH and other agencies throughout her career. She has a strong track record as a mentor and has been a leader in developing innovative approaches to training physician scientists. Dr. Permar will work alongside Dr. Peggy Hostetter in overseeing the PSDP over the coming months and will assume full responsibility for the PSDP in July 2019. Dr. Permar, SPR congratulates you on your new appointment!